Walmarts are pretty much everywhere. You can find crazy things in their stores and of all variety that may save your time to go somewhere else. But we are here to talk about the Chinese Walmarts. They are completely different from the others around the world. Chinese Walmarts have crazy things that you will hardly find anywhere else. If you have visited there, you know exactly what we are talking about. If you haven’t, probably you’ll raise up your eyebrows to say the hell did I just saw? 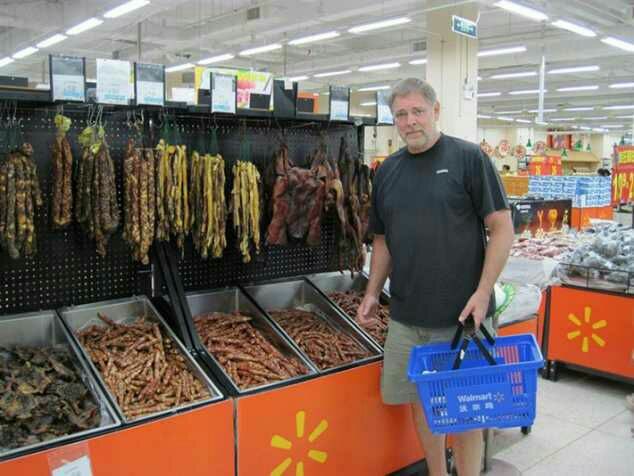 Whatever be the case, you will enjoy reading these crazy things Chinese Walmarts have. As if #1 was not enough. They have an assortment of animal eggs. You will get a variety to choose from. What and where is the sense? I am glad this is not in my country. I don’t want to visit their Walmart. Like ever. They don’t like wasting an animal part. So here we are. Told you, they don’t believe in wasting. Only reasonable thing I can see. It’s like selling pineapple and pizza. Together.